If you enjoy legal matters but don’t want to become a lawyer, you may be interested in learning how to become a paralegal. Paralegal work can be a challenging and enjoyable career; with a little bit of education, you can make a living at it and have some interesting experiences. 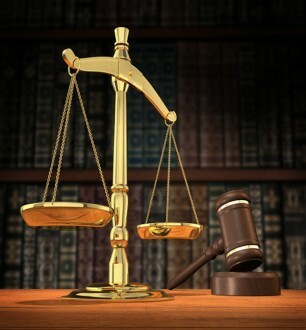 Most paralegals have an Associates degree or certificate in Paralegal Studies. Some paralegals have a Bachelor’s degree in pre-law or political science. There are no hard-and-fast rules about what type of degree you must have in order to be a paralegal. It depends on your employer. Some lawyers are willing to train an interested and eager paralegal on the job regardless of their educational background, while others want someone who has a specific educational background. Paralegals should have at least a passing familiarity with the law and have taken some type of coursework to bolster their skills. Paralegals must be interested in the law. Paralegals function as legal assistants and do many of the same things lawyers do, although they cannot try cases in court. Thus, if legal matters and conflicts interest you, this career might be a good fit for you. In order to be a successful paralegal, you must possess certain skills in addition to your interest in law. Paralegals must have strong organizational skills so that they can organize and file legal paperwork and prioritize tasks, especially if they work in a busy office. Paralegals must also have strong research skills, as they spend a lot of their time researching case law for the attorneys they work for. Successful paralegals are also outgoing and comfortable dealing with members of the public. Most of the training paralegals receive comes on the job. Most paralegals work for lawyers who are willing to train them on basic legal procedures and on how to work in the office. Some paralegals may serve as interns before getting their paralegal certificate. This allows them to get on-the-job training before getting certified so that they will be ready to assume all responsibilities related to their job once they have their certificate. Paralegals often wear many hats during the course of the day. Their function is to assist the lawyers who work for a particular firm. Paralegals may answer phones and greet clients, organize files and paperwork and do research for attorneys. Paralegals also often draw up paperwork for attorneys and clients to sign such as contracts or plea agreements. Some paralegals also are qualified notaries and can notarize documents for clients. If you are interested in a law career, consider a job as a paralegal. Both aspiring lawyers and those who have no further career aspirations can become successful paralegals. This type of job puts employees in direct contact with lawyers and clients and allows them to see what the legal field is like before they make a commitment to law school. Now that you know more about how to become a paralegal, you can check your local community college for courses if this career interests you. When you go to a community college, university, or public or private college, they have a career department. The career counselor will help you to locate law firms that are looking for paralegals or legal assistants. At some schools, you may have to complete an internship at a law firm in order to receive your degree. Some law firms will even train you on the job, if you do not have experience.